Telepresence in schools and work is on the rise, promising to change the face of business and education for the better. As the world grows more connected, it seems that we’re actually finding ourselves placed further apart, experiencing each other virtually — but experiencing each other nonetheless. Some people see this as a bad thing as if physical proximity is necessary for “righteous” and “wholesome” experiences. Nevertheless, those archaic and conservative viewpoints are being challenged in the realm of education on a continuing basis. Fast Company ran a story by Steven Melendez last year about an 11-year-old girl named Cloe Gray from Maryland. Cloe underwent surgery that left her homebound for months. Despite this, Cloe still “went” to school, interacted with her friends, and experienced the fifth grade, all via the technologies made possible by telepresence. 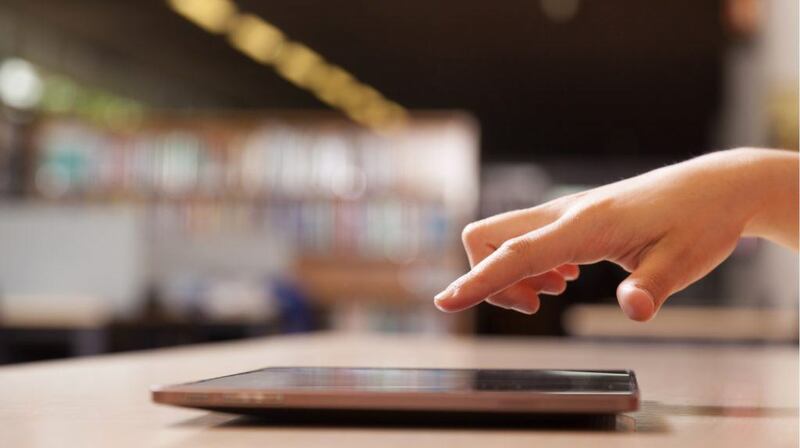 On the other hand, eLearning is much more focused on the pedagogy and the modules in an interconnected, digital world. While eLearning is currently being explored in both schools and as a training tool in the workplace, telepresence works a bit different in the business realm than it does in the workplace. Telepresence robots are going to be seen a lot more in educational settings, due to their ability to help children “attend” class, even when they cannot physically be there. Kelly McSweeney, writing for ZDnet, reports that, even though telecommuting to school isn’t necessarily an ideal way to learn, the students felt more socially connected with peers, happier, and more academically involved. These telepresence robots don’t look like much. If you can imagine a Segway with an iPad-type tablet where the human head/torso would normally be, that’s how these students appear to their peers. Two-way cameras allow teachers and peers to see the controlling student’s face while the student views them, and microphones and speakers allow for audio transmission, very much like Skype. Though the robots lack arms or any way for the controlling student to physically manipulate anything, they do have flashing lights to get an instructor’s attention, a virtual “raising of the hand,” if you will. These robots may help revolutionize how we think about global online experiences or global learning partnerships, one of University of Cincinnati’s top 10 trends for the future of teaching in remote locations. This technology could facilitate foreign-exchange programs without students ever physically going abroad. The ability to be telepresent is just one of the many reasons that today’s students need internet access — but unfortunately, something like 70% of schools nationwide don’t have high-speed internet access. This will be detrimental to the youth of our nation, who are expected more and more to telecommute in the workplace, and where telepresence is becoming an accepted norm in adult society. Businesses and schools of higher education have forgone the Segway-esque telepresence robot and instead have gone with telepresence room technologies. These are rooms that are dedicated to virtual conferencing with one or more monitors, a camera, microphones, and speakers—essentially all the same components the robot has—to provide the illusion both parties are present. Tricia Bisoux, writing for BizEd, mentions that multiple business schools are using this technology to great effect, with some teachers using a hybrid-type classroom. Jolanta Golanowska, director of learning innovation at the IE Business School in Madrid, does note in the article that these rooms present new challenges, but she seems very hopeful that students and faculty both will be able to adapt to evolve alongside the technology. “It’s not enough for students to just see and hear a lecture. It’s critical that they get to try to do things in the classroom and have faculty coach and guide them through the process while observing them and providing instanta­neous feedback. We also need to provide meaningful feedback to faculty so they can continuously improve their interac­tions with students,” she says. As augmented reality (AR) and virtual reality (VR) capabilities also grow, we’ll only see these rooms gain more features in the future, and likely become more mainstream. The Future Of Education: Is Telepresent eLearning Inevitable? So what does all of this have to do with eLearning? According to eLearning Inside News’s Cait Etherington, telepresence robot popularity is on the rise. “A recently released Technavio report on the global reconfigurable educational robots market found that K-12 and higher education solutions dominated the market in 2017 and that this trend will continue over the next year,” she writes. Remote work is also on the rise, and teaching children how to adapt to the world of telecommuting earlier in life might just help them later on. If you couple that with the fact that telepresence robots essentially teach development and mastery of the same skills and tools you need to work from home, you can see why telepresent eLearning might actually more accurately prepare children for the future of work. While telepresence robots and rooms have definitely not yet reached mainstream popularity, the coming years will be interesting and could be extremely beneficial for learners of all ages.